Is there anything more classically "noir" than urban street warfare between ruthless gangsters and amoral cops? Add in snappy dialogue and an ending that resolves nothing, and the formula is complete. But what if the dialogue is howlingly funny? Can that be classic noir fiction? 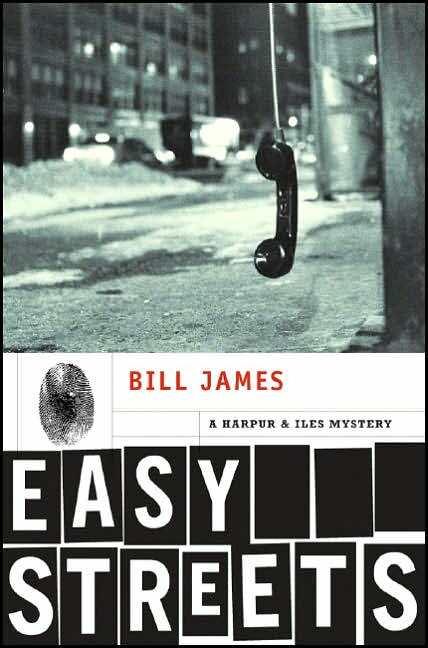 Bill James's Harpur and Iles series has a certain resemblance to the work of P.G. Wodehouse, whose work has been compared to classical pastoral poetry. In a hermetic world that is ultimately idyllic, the seemingly troubled events ultimately have no consequences. Wodehouse's world is the ultimate light comedy: weightless, funny, satirical (but only lightly so). James's world (set in a fictional city in the south of England) is equally hermetic, and there are equally few consequences (or at least few changes in the status quo, since there are plenty of corpses that result from the action) but otherwise Wodehouse's lightness is turned into darkness or heaviness (depending on your metaphor). The dialogue between detective Harpur and his superior Iles is almost not dialogue at all: they talk past one another, each indulging in heavy irony and macho one-upmanship. The sexual innuendo spares no one, not even Harpur's teen and pre-teen daughters, who may (or may not) have a thing for Iles, depending on which part of the text you listen to at any particular time. James has invented a dialect as well as a world and once you enter into both, the ride that you are taken on is great fun. James ultimately dismembers the police procedural, the thriller, noir fiction, and any other genre of the crime novel that you can mention, but without stinting on all the elements of each. Totally within the strictures of series-based crime fiction, James offers something quite different: deconstructive fun of a high literary standard (without sacrificing readability and comedy) much as Wodehouse did in the context of the indescribable genre that he created himself. The only problem with James's Harpur and Iles novels is that there are so many of them (21 to date, at least in their U.S. publication) the experience begins to wear on the reader. On the other hand, there's no need to go back to the beginning--the new one is a great deal of fun even if you have not read any of the earlier ones. 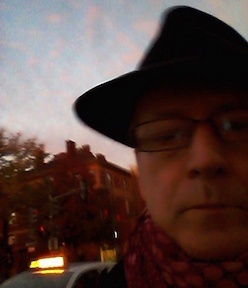 Though to my mind the most successful one of all is the almost Shakespearean Astride a Grave, the 8th, which avoids some of the repetitious gang warfare of recent volumes and also is the closest to classic noir structure (though no less funny than the best of the other Harpur and Iles novels). This series is unique.